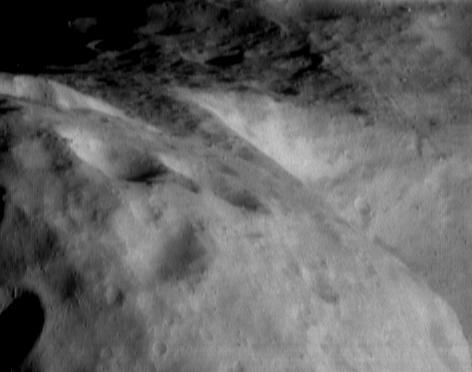 The camera on NEAR Shoemaker caught this long view of Eros' southern hemisphere during a stereo imaging sequence on September 6, 2000, from an orbital altitude of 101 kilometers (63 miles). This view adds context to high-resolution images taken from lower orbits with "footprints" only one-fourth to one-third the size. 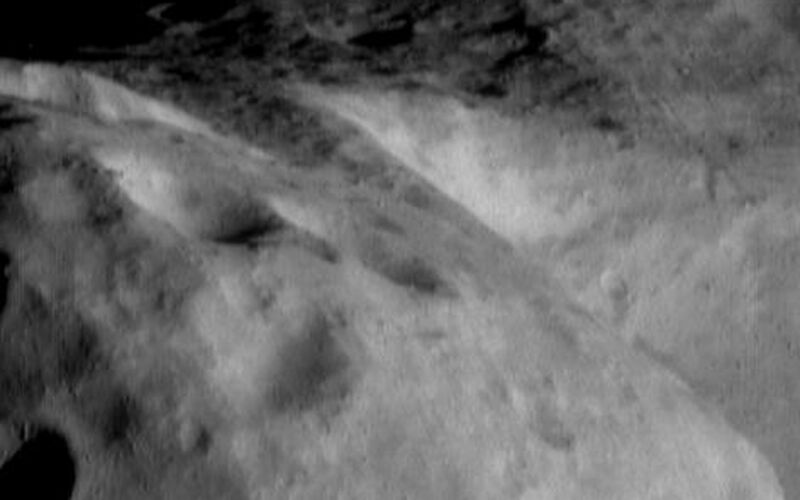 Craters shown in the left foreground of the image are about 1.3 kilometers (0.8 miles) across.